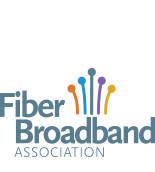 The Fiber to the Home (FTTH) Council Americas welcomes members from all companies involved in supporting the deployment of future proof networks. Our three member classifications are based on a combination of the level of commitment your organization wishes to make to the Council and your company type (vendor, network operators, other). We are agnostic with respect to ownership structure – so if you are a network operator we welcome incumbents, munis, utilities and competitors. Benefits and dues are dependent upon which type of membership you hold. Please see below for further information on each membership category and the benefits associated with it. Premier members are the leaders of the fiber to the home industry and set the strategic focus and direction of the FTTH Council. All companies involved in the FTTH industry – network operators, vendors or consultants – can upgrade to Premier membership by paying the requisite dues and being accepted by the Board of Directors. Only Premier members can serve on and vote for the Board of Directors. The Council’s Board and its president rely heavily on the advice and counsel of Premier members throughout the year, which culminates in an intensive two-day strategic planning session during the fourth quarter of the year. General members are those companies involved in providing FTTH-related goods and services to network operators, network operators building and running FTTH networks, and professional engineering firms that assist in these efforts. Associate members are engaged in support industries to FTTH deployment. Membership is open to small engineering firms, economic consultants, market research firms, attorneys and other professionals who have an interest in fiber to the home. Membership in the FTTH Council opens doors to expanded professional and business relationships with vendor companies and network operators – whether it is through the Council’s events or its networking platforms such as LinkedIn. Professionals also get access to privileged member content through the members only section of the Council’s website.